You have customers, and they want your products. How are you going to get it to them? Email. Email marketing is not just about growing a large database of email addresses and leads. Thinking like that is only going to lead to disappointment. “There’s money in the list” is a common statement among internet marketers, but the truth is that you need to nurture and look after your list in order for that list to cough up any money. It’s not about the size of the list, but about your relationship with the people in that list. Email marketing isn’t dead, emails are still the #1 way to talk to your leads and customers. People look at SEO, Social Media and PPC as the three most powerful ways to find customers, but every one of those platforms is owned by somebody else. Facebook could turn around tomorrow and totally change how businesses promote on Facebook. You own a database. You own your list of leads and customers. You can talk and communicate with them however you want. With cheap software like Aweber, MailChimp and Active Campaign, you can automate how often you talk to customers and convert them into sales. Finally, customers READ emails. If you’re worried about spam, just think about what spam is. Unwarranted and unwanted, non-helpful and invasive emails. Are you planning on sending those types of emails? I hope not. Don’t forget, these people gave you their information intentionally. 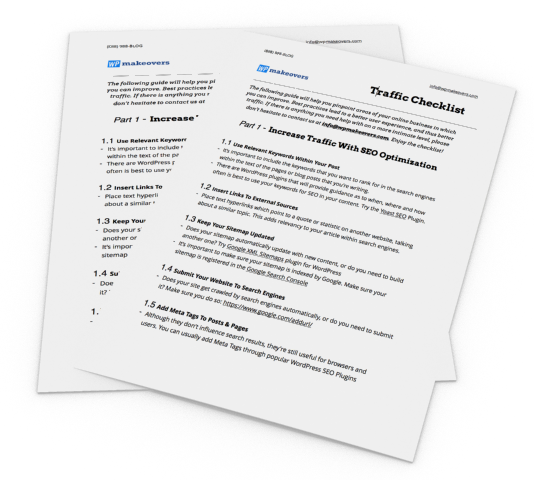 Think about how much value you want to send to your list, and deliver that. Email has an ability many channels don’t – creating valuable, personal touches – at scale. According to the Direct Marketing Association, Email marketing yields an estimated 4,300 percent ROI. 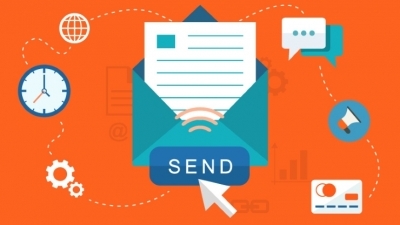 Every dollar spent on email marketing offers a return of $44, says ExactTarget. Stay away from standard subject lines and email headers. Say interesting things. Be different. And make it REALLY clear who you are and who is sending the emails. If you honestly don’t think your emails are worth $1 in value – don’t send them. You’d be better off writing an open letter to your list, telling them what you’ve done this week and the blog articles you’ve read, than just sending blog posts via email for the sake of it. So how do we “crush it” at email marketing? Send blogs, videos, articles, curated content letters etc. The more varied the better. It’s a safe bet that if someone wants information on Lamborghinis, then sending them more content on Lamborghinis will do you well. Eventually, you’ll want to move them into other silos. Ask them what they want to look at next or think about the next logical step. For example, people interested in Lamborghinis may likely be interested in Ferraris, Aston Martin, and Rolls Royce. So reach out to them and see what they want help with next. “Next stage” emails are what’s next. Well you’re right, and the way to remedy all these different stages is automation. Aweber and MailChimp have great automation, and if you’re looking at more complex products, they’re all about offering epic automation. InfusionSoft, Active Campaign, Marketo, etc. Let’s take a core product customer for example. They’ve just bought [PRODUCT] and you want to grow that relationship. A great way to start is with the cross-sell. For example, if we take someone buying a flat-screen HD TV. Once they’ve bought it, you’ve got a range of options to help them “get the same results”. Items like product insurance, wall mounts, HDMI cables etc. Without a doubt, our favorite email is a sales email. There’s something really exciting about writing and crafting an email that could generate sales on automation. We have had customers ask us “but what if we don’t have a list?” and that’s fine. We totally get that, but we’ve found that usually they DO have a list, just not all in one place, and it’s never too late (or too early) to start. If email marketing is a serious growth option for you (and I’m betting it is) then you need to check out our email marketing master plan. It’s got everything you need to automate and market with emails to your customers. Sign up below.